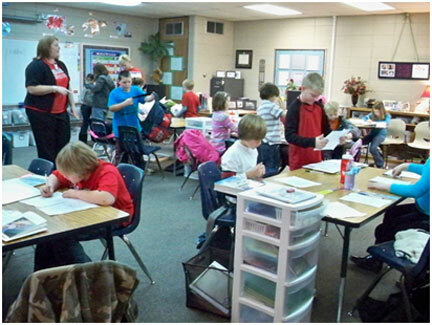 While working at Jackson Elementary in York, PA I saw many students using work stations. One of my favorites was the “Dental Health” station. Kids practiced flossing with yarn and a large model of teeth. 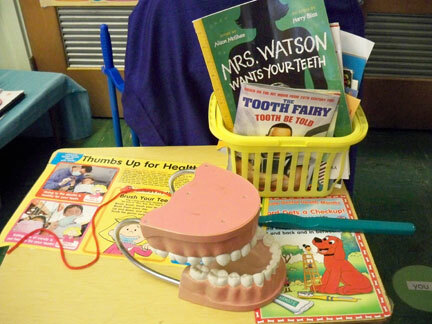 There were several familiar books about teeth in this station, too. 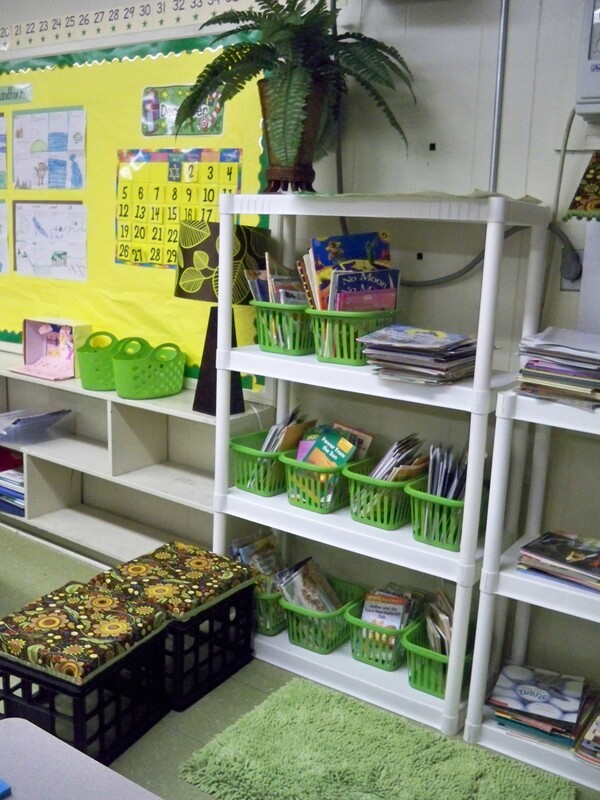 I love when I see well-organized classroom libraries with labeled baskets to help students choose their “just-right” books. One classroom library had response supports to help kids write about and post responses to what they’d read there. 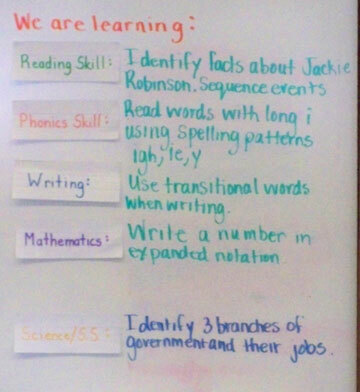 And, last but not least, it’s always very helpful to see kid-friendly objectives displayed in a classroom to help teachers and kids stay on track and get the most they can from the day! 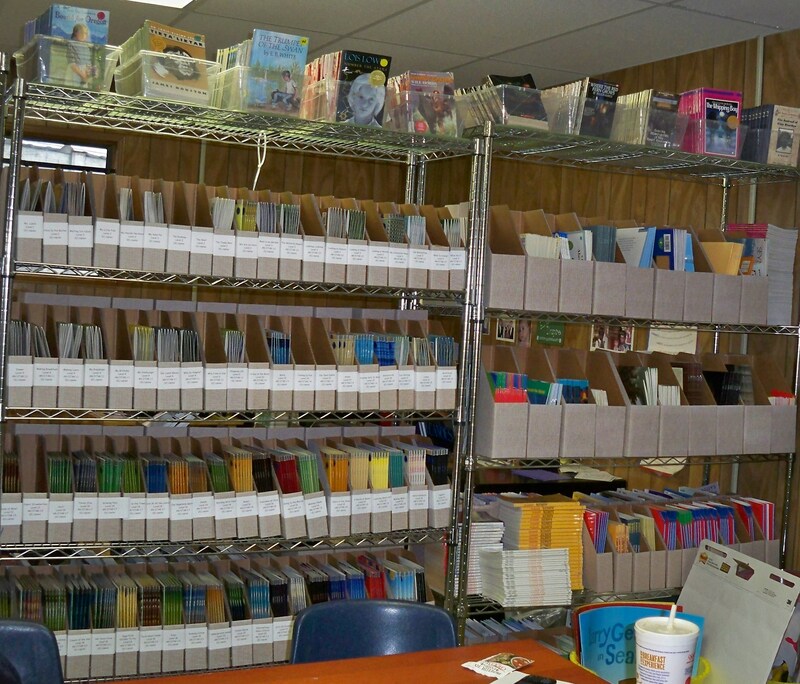 Does your school have a book room or leveled book library for guided reading? Recently, I worked at Lovett Elementary in HISD (Houston) where they have a wonderful book room with guided reading books for teachers to check out. We held planning meetings in this room on my visit. So handy for being able to quickly refer to texts as we learned together about improving small group instruction. 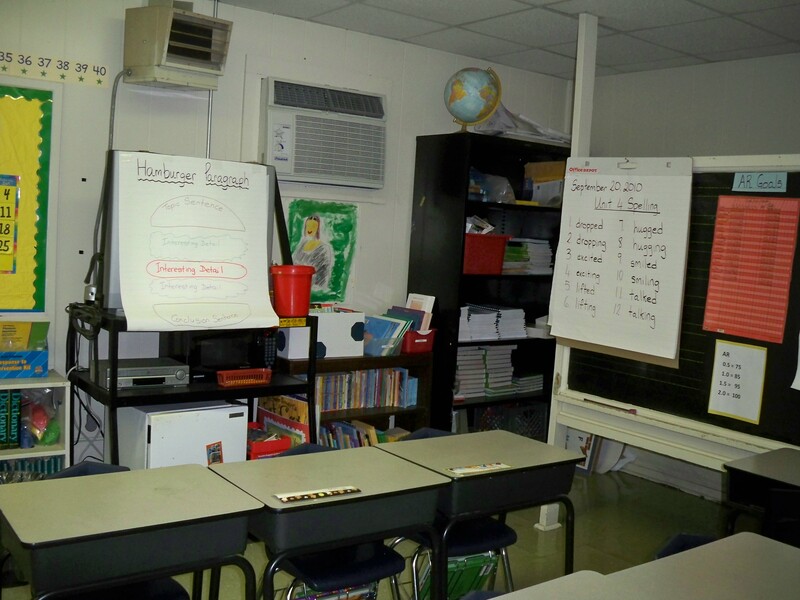 Several years ago I worked with Spring Branch ISD in Houston and visited every elementary to help set up a leveled book library tailored to the needs of that school. It was such an interesting project! There were so many ways in which to organize the space and the books. 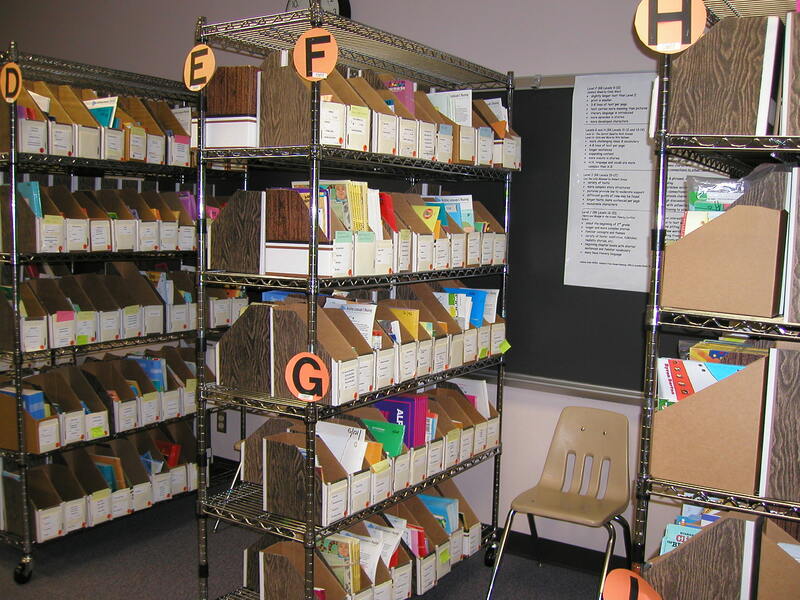 Here are a few photos of leveled book libraries used by entire schools. Yesterday in Rolla, MO several teachers asked me how to keep classroom libraries organized. As I wrote about in Literacy Work Stations on p. 31, I recommend that you do this by setting up the library with your students. This is great to do early in the school year. Start with empty bookshelves. Clear a shelf at a time, if you’d like. I like to have the whole class sort and organize the books into two piles– fiction and nonfiction. Seat your class in a circle on the floor. Then think aloud about what makes a book fiction (made-up story, characters and setting, problem and solution…) and what makes a book nonfiction (facts, photos, true information). Place labels (index cards work well) for FICTION and NONFICTION on the floor and show kids how to sort the books into these two piles. Pass out several books to two children at a time. Ask them to look at the book together and determine if it’s ficiton or nonfiction. Then go around the circle, have the pairs tell which kind of book theirs is, and have them put it into the appropriate pile. This may take several class periods to accomplish. Store the books in labeled boxes each day. 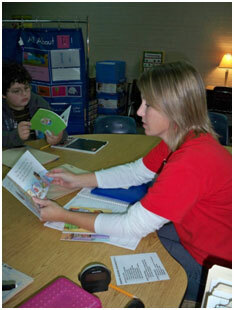 After the books are sorted into fiction and nonfiction, work together to sort the nonfiction books into smaller groups. Children will come up with ideas, such as weather books, animal books, poetry books, and people books. 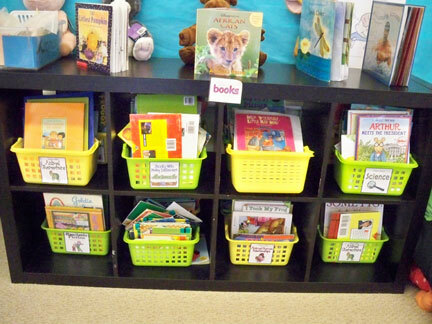 Make category cards for labeling the classroom library baskets. Add illustrations. (I like to use Google images.) Likewise, sort the fiction books into groups with the children. These may be sorted by author, genre, easy-to-read, chapter books, leveled books, etc. 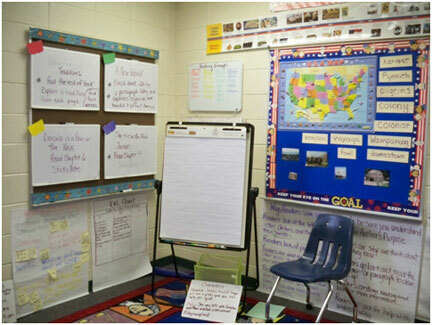 You might designate one classroom library area for fiction and another for nonfiction. In upper grades, you might want to add genre posters to your classroom library as you teach different genres. You can find wonderful genre posters on this website. I’d love to hear about and see your classroom library! Send pictures to d.diller@live.com. 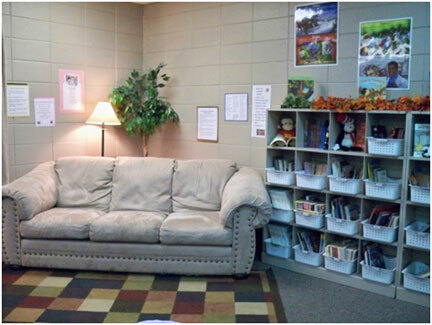 I received some more great pictures of classroom libraries recently. Take a look at these pics from Cathy McLaughlin, who teaches kindergarten at St. Luke’s in Glenside, PA. You can still submit your pictures, just send them to d.diller@live.com and I will post them here on my blog! 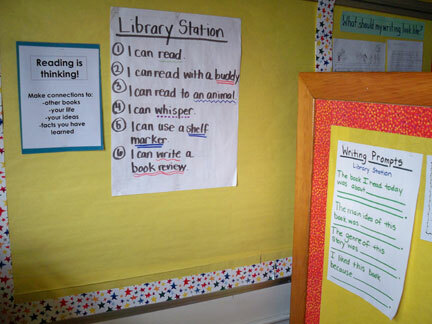 In a recent post I wrote about some lovely classroom libraries I saw while doing a workshop in Reading, PA. A couple of you sent me pictures of your libraries. This one is from Adriana Shetsky who teaches in a first grade bilingual classroom at Gordon Elementary School in Bellaire, Texas. Her bookshelves might look empty now, but she is having her students help her sort the books during the first few weeks of school. The shelves in this library are just waiting for some books! Send pictures of your classrooms – library, whole-group area, or small-group area – to d.diller@live.com and I will post them here!